Merry Christmas eve eve!! Does anyone else say that? I cannot believe Christmas is almost here, and that means its time to start thinking about your NYE outfits! Haven’t had time to look in your holiday hustle? I understand, heaven knows I still have no idea what I’m wearing! I did however put a little inspiration board together to get my mind jogging,( minus the short dresses because I personally cant wear those. lol), so hopefully it will work for you too! 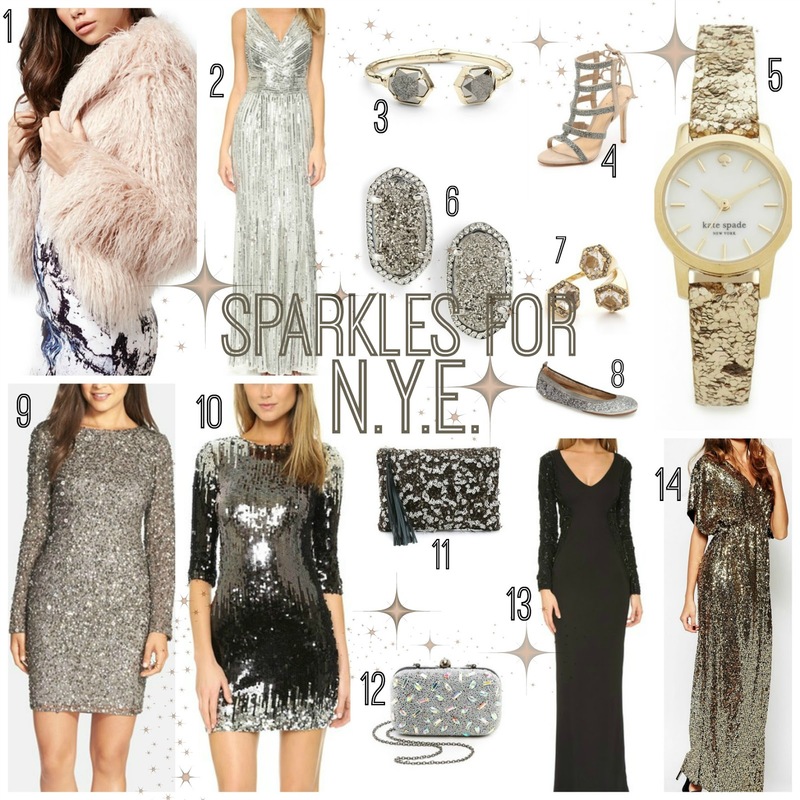 I am all about the sparkle around the holidays, and especially on NYE! Hope you love it as much as I do. Next Post After Holiday Sales! I love dresses number 9 and 14!!! If I had a place to get all sparkly and dressed I would so wear #9. These are gorgeous picks.. I love all the sparkles!! Right!? Me too! I love it!